The Supreme Court here on Monday (6th February 2019) announced that the linking of Aadhaar with PAN Card is now mandatory for filing for Income Tax Returns. As a matter of fact, the court was hearing the Government’s plea against the Delhi High Court order allowing the appellant Shreya Sen and Jayshree Satpute to file the Income Tax Returns for 2018-19 without linking Adhaar with PAN Card. The Bench comprising of the Justices, A.K Sikri, and S. Abdul Nazeer said that the court has already made his decision and upheld the Section 139AA of the Income Tax Act. The Court’s order came on an appeal filed by the Centre against the High Court ruled by Shreya Sen and Jayshree Satpute, saying that you can file your Income Tax Returns for the assessment year without linking your Aadhaar with PAN Card. Whereas, the Supreme Court has declared that it is mandatory for the citizens to link their Permanent Account Number (PAN Card) with Adhaar Card while filing for Income Tax Returns. The Bench comprising of the Justice, A.K A.K Sikri, and S. Abdul Nazeer said that the court has already made his decision and upheld the Section 139AA of the Income Tax Act. The order of the court came on an appeal filed by a center against the Delhi High Court, ruling by Shreya Sen, and Jayshree Satpute, to file the Income Tax without Linking Aadhaar with PAN Card. This was a relief for many of the citizens, as they will have to worry about the linking Adhaar with PAN, last year. The aforesaid order was passed by the High Court has the regard to the fact that the matter was pending consideration in this High Court. Thereafter, the Court has decided the matter and upheld the vires of section 139AA of the Income Tax Act. Therefore, the Linkage of PAN Card with Aadhaar Card is now mandatory”. Shreya Sen and Jayshree Satpute filed their returns following the court order and the assessment has also been completed. Hence, the Supreme Court has now made it clear, that the individuals have to link their PAN Card with Aadhaar ID for E-Filing 2019-20. As per the September 26th, 2018 verdict, which declared that the Unique ID is legally valid and can be used for getting subsidies as well as for linking it with PAN. Many of the taxpayers, were unhappy with the decision and did not want to link their PAN. The Government has maintained that it is critical to ensure that the individuals don’t evade taxes with multiple numbers of PAN Cards. The Government also said that the majority of the PAN Cards have been linked with the PAN Card. Many of the activists are not happy with the latest verdict. Suman Sengupta, activist, civil engineer claimed that “We need to ask if the Aadhaar Card is a verified data or it has been audited”. If someone links the PAN with fraudulent ID and also links it with the Phone Number, then how will UIDAI or Income Tax Department verify that? Primarily, WBPDS Ration card is issued to the households, against which the deserving families can avail basic necessities such as food grains, sugar, kerosene, wheat and fuel at a subsidized rate. However,WBPDS ration card also works as a proof of identity and proof of address before documents like Aadhaar card and PAN Card came into being. The Ration Cards acts as an Official Document which is issued by the Government of India. The Food and Civil Supplies Department of West Bengal Government has provided various online and offline procedure by which one can apply for a WBPDS Ration Card in West Bengal. 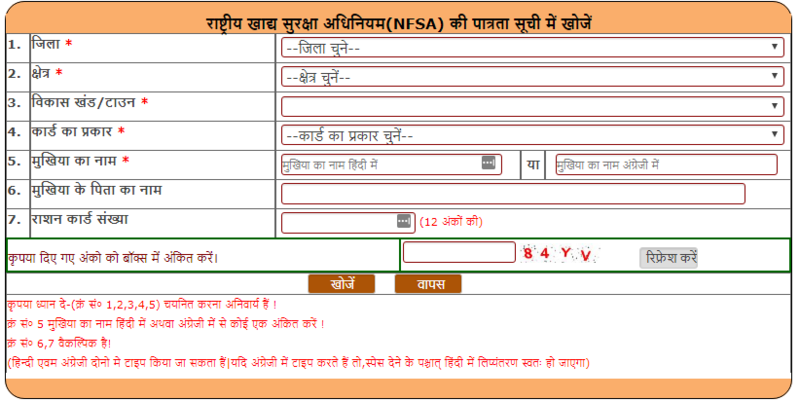 Also, through that website one can check their ration card status, How to apply for a duplicate ration card; make the correction in ration card etc. Antodaya Ration Card – This card is issued by the government to provide highly subsidized food to millions of the poorest families. And it is issued to those people who do not have a stable income specially the old age people or the unemployed people. Above Poverty Line Ration Cards (APL) – this type of ration card is issued to people with higher annual income. This category people are not liable to get food grains at a subsidized rate however, they can use this card as an identity proof. Below Poverty Line Ration Card (BPL) – Below poverty line ration cards are issued to people whose income is less than 10,000 per annum and are liable to get food grains and other basic necessities at a lowest subsidized rate. The first criterion in order to possess a ration card is to be a citizen of India as Non – resident of India (NRIs) are not eligible to apply for a ration card in India. In case an applicant is shifting their place of residence, they are required to submit a surrender certificate in order to get a ration card. The applicant has to submit a certificate mentioning that the individual does not have any extra Ration Card applied. Photo identity card such as Passport, Aadhaar card, Voter ID card etc. The Offline way by which you can apply for a West Bengal WBPDS Ration Card. You are required to visit the PDS (Public Distribution System) office and ask for an application form to apply for a West Bengal Ration card. Once the officials provide you with the application form, you are required to fill the form properly and attach the required documents such as Residential proof and Photo identity proof. And also attach the Income Proof and Age Proof of the head of the family along with the application form. And before submitting doesn’t forget to cross check the information you have provided in the form. 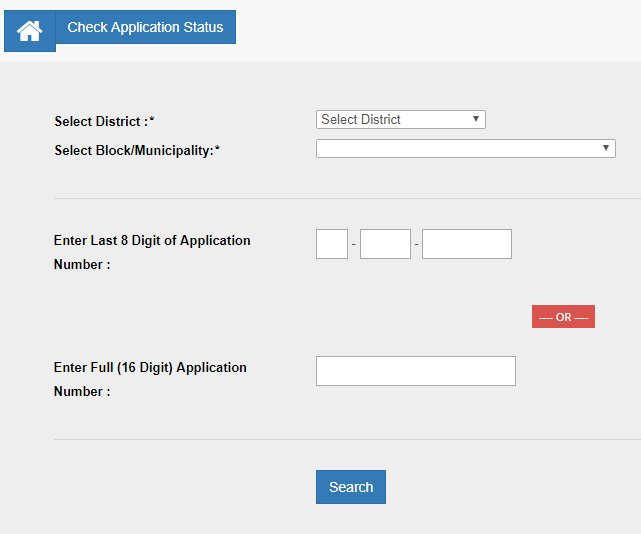 To check the ration card status in West Bengal, you are required to visit the official site of WBPDS and click on the “check status online” option on the home page and enter the required information such as your District, Block / Municipality, Last 8 digit of application number, and also 16 Digit of the application number and click on the “search option” and the status of your ration card will be displayed on your screen.